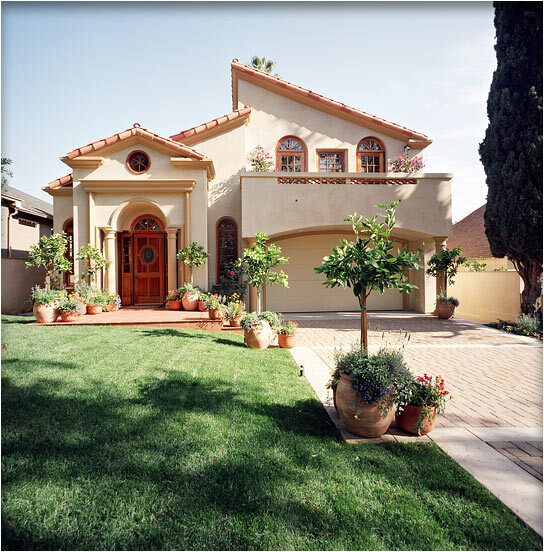 Larger Project 2-1, Mediterranean Architectural Design » Roger Perron Inc. This Mediterranean architectural design was created by Antonino Bruno, architect. Here we have new home construction in Santa Monica—4,500 square feet with a lot size of 50′ x 150′. The lot had an older ranch home on it, which was demolished. We then constructed this home with a basement.